Kolkata, Oct .10 (IANS): The Regional Meteorological Department here on Wednesday warned of intense spells of thundershower accompanied by gusty wind in six south Bengal districts for the next four days, triggered by a cyclonic storm even as brief rain played spoilsport amid heightened Durga Puja preparations across the state. 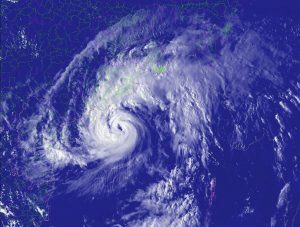 Cyclone ‘Titli’ over the Bay of Bengal intensified into a “very severe cyclonic storm” on Wednesday and is moving towards the Odisha-Andhra Pradesh coast. “The cyclone is currently 240 kilometres away in the south-east direction from Odisha’s Gopalpur. 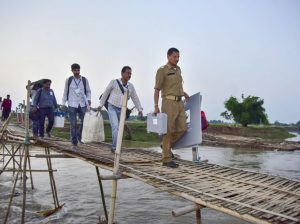 It is expected to hit the coastal areas of Odisha and Andhra Pradesh by tomorrow (Thursday) morning and curb towards Gangetic West Bengal,” said a meteorological department official. “Due to the cyclone, there will be moderate to heavy rainfall in the south Bengal districts from October 10 to 13, while the coastal districts like East and West Midnapore, North and South 24 Parganas, Hoogly and Howrah are likely to receive heavy rainfall,” the official said. “The clouds are likely to clear out from October 14, which means the weather will be good on the five days of Durga Puja festivity, to be held from October 15 to 19,” the official added.